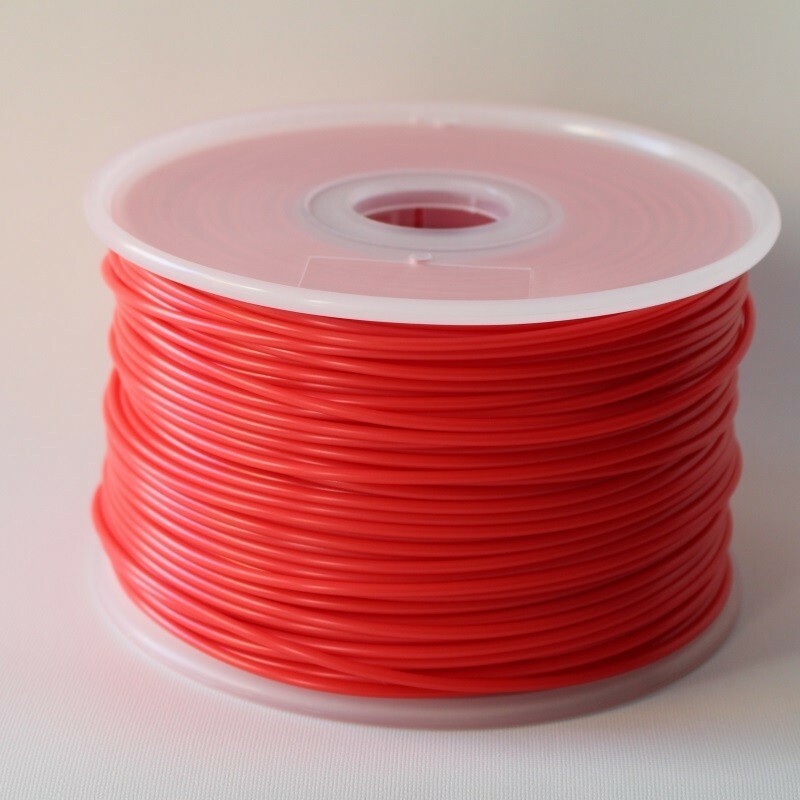 Red ABS Basic is a manufactured filament in Europe for 3D printers. Spools 1kg (2,3 lb) Red ABS Basic support multiple types of 3D printers. Red ABS Basic (1,75mm or 3mm) is a plastic whose main mechanical features are its strength, toughness and opacity. ABS plastic is used in some everyday objects, such as most plastic boxes, toys or carcasses of many electronic devices. Another important characteristic of Red ABS Basic (1,75mm or 3mm) is that it has the capacity to absorb water. So if you want to make any container that will hold water, maybe not the most suitable material. 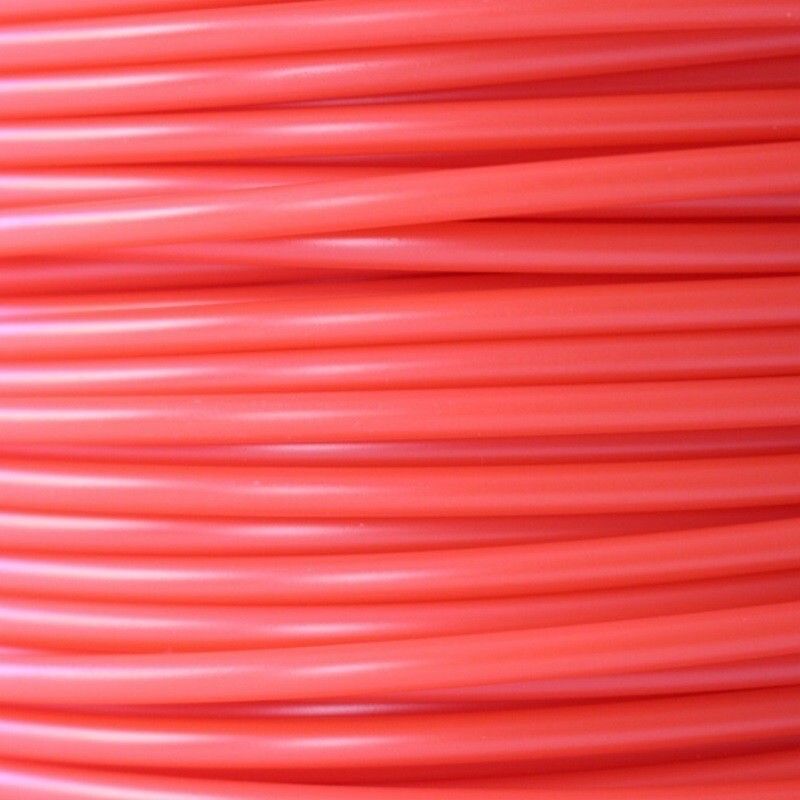 Optimum temperature for extruder Red ABS Basic (1,75mm or 3mm) is around 230ºC, slightly higher than the PLA. 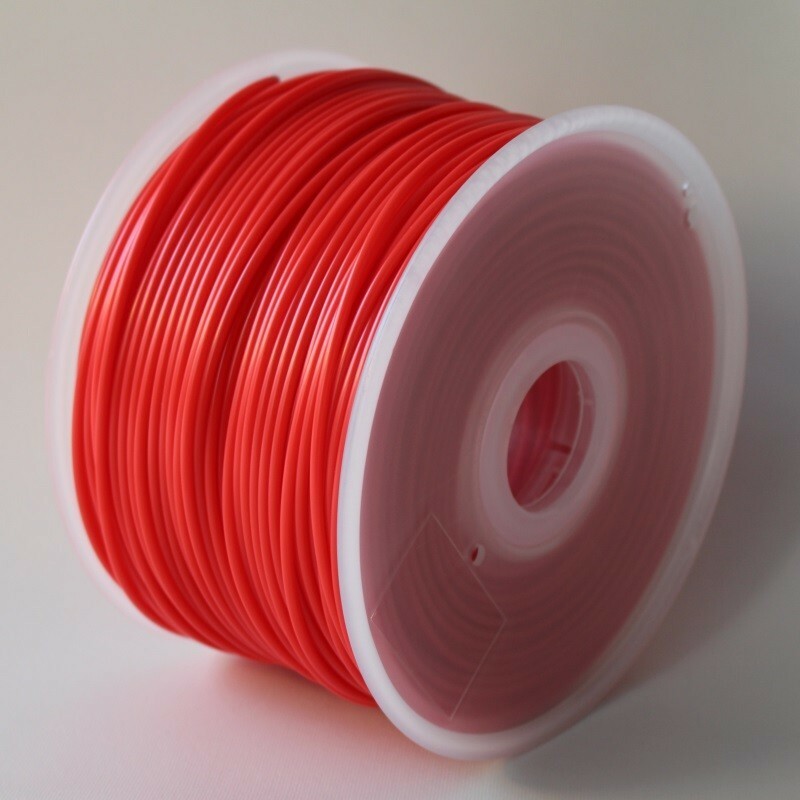 In the tab usage tips, you will find more interesting information for best results using this Red ABS Basic filament on your 3D printer. ABS is a polymer composed of three blocks, acrylonitrile, butadiene and styrene by what is called terpolymer. Each of the three blocks provides different characteristics. The acrylonitrile rigidity strength etch, hardness and stability to high temperatures. The butadiene temperature toughness when it is particularly low and impact resistance; and styrene, strength, stiffness, gloss, hardness.If you are interested in learning more about this material you can read more in the following link. Red ABS Basic can be machined, polishing, sanding, drilling, painting and pasting with extreme ease, keeping a really good finish. Furthermore, it is extremely durable and has a little flexibility. If you wish to obtain special surface finishes using the coating specifically designed for 3D printing you'll find in the accessory category called XTC-3D.It is advised for proper 3D printing coated bed printer with Kapton Tape, BuildTak, DimaFix, Magigoo or 3DLac you can find in the store fixtures.